The promise of transhumanism is one of human-centric positivity: our bodies will fuse seamlessly with networked computers and tiny machines will live in and flow through us. As computers shrink and multiply, this project imagines a parasitic computer that feeds off our body heat. The 3D-printed, algorithmically-grown shell houses a battery and a device that harvests electricity from tiny differences in temperature. When charged, the computer turns itself on for a short period of time, transmitting a URL to its own source code and files for manufacture until it runs out of electricity, hibernating while its battery charges again. The piece is presented as a video, with the computer shown nearby on a pedestal. 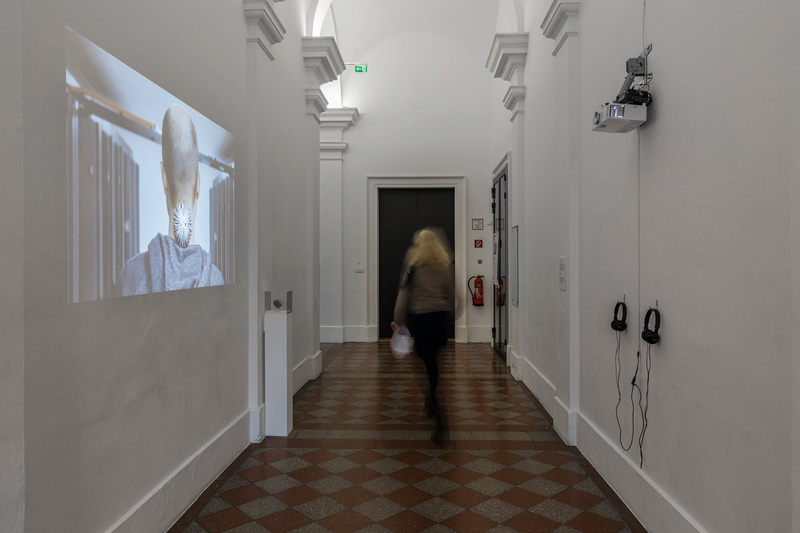 The project installed at Salzburger Kunstverein in Salzburg, Austria. 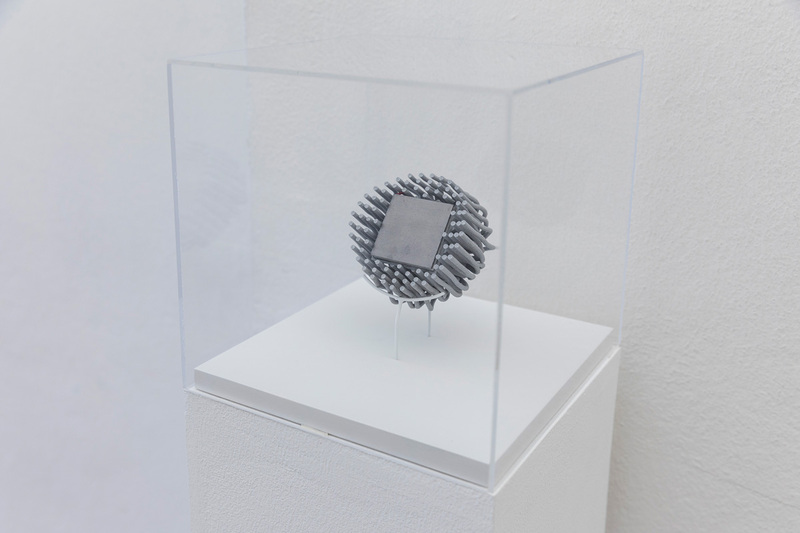 A detail of the back of the sculpture shown in the video, showing the device that generates electricity from body heat. Commissioned by Digital Spring Festival 2018 in Salzburg, Austria.